Earlier this month, Avenatti took the time to speak with us directly for an exclusive interview. He told us that he was representing numerous clients, “whistleblowers” in Kelly’s case, and detailed what he said were explicit tapes of the singer engaging in sexual acts with a 14-year-old. “It is clear. There’s no question that the victim – it’s one victim in both tapes – and there’s no question that she is 14-years of age in the tapes,” Avenatti told us. An undercover sting involving Nike was conducted and subsequently led to the lawyer’s arrest, but the recordings have put his reputation under scrutiny. He told Nike representatives that he uncovered information that stated the company made illegal payments to high school athletes. He also told them that he would need millions of dollars in a “retainer fee” in order to stay hush-hush about his alleged findings. The company worked directly with law enforcement seeing as they felt as if they were being extorted. 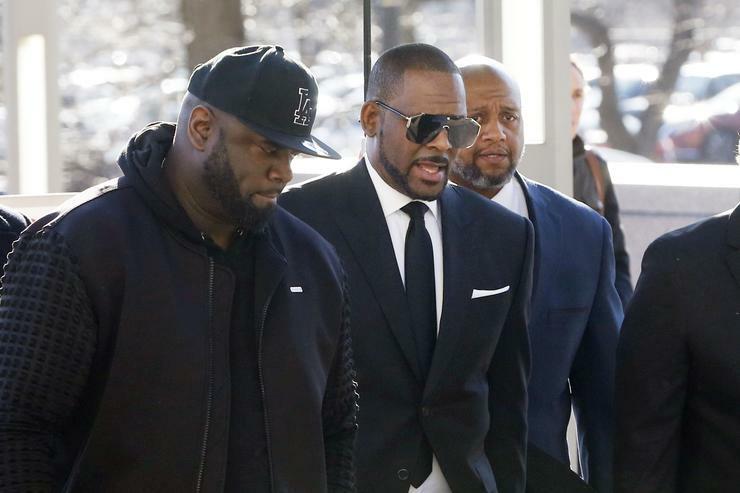 Now, R. Kelly supporters see Avenatti’s statements and arrest as a victory, using this moment to make claims that the singer is innocent of the sexual assault and child molestation accusations against him. According to The Blast, sources claim that those who have openly spoken out against Kelly or accused him of abuse are being targeted by his supporters. There is a hope, by those who stand behind the singer and think he’s not guilty of the charges against him, that everything Avenatti worked on in Kelly’s case will be discredited. Kelly’s attorney Steven Greenberg tossed a little shade Avenatti’s way by saying he would represent him “since I hear he needs a good lawyer.” Avenatti posted his $300,000 bond and was released from jail.